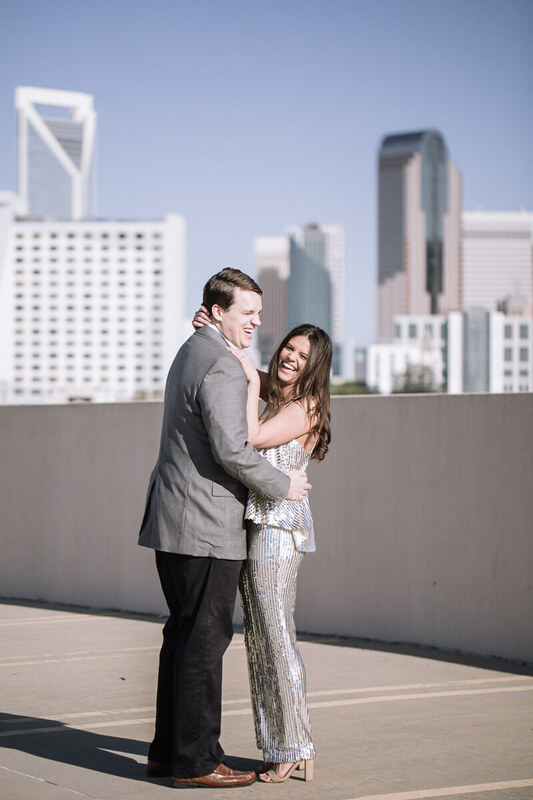 Modern Engagement Photos - Charlotte, NC. Cassandra and Joseph are engaged! 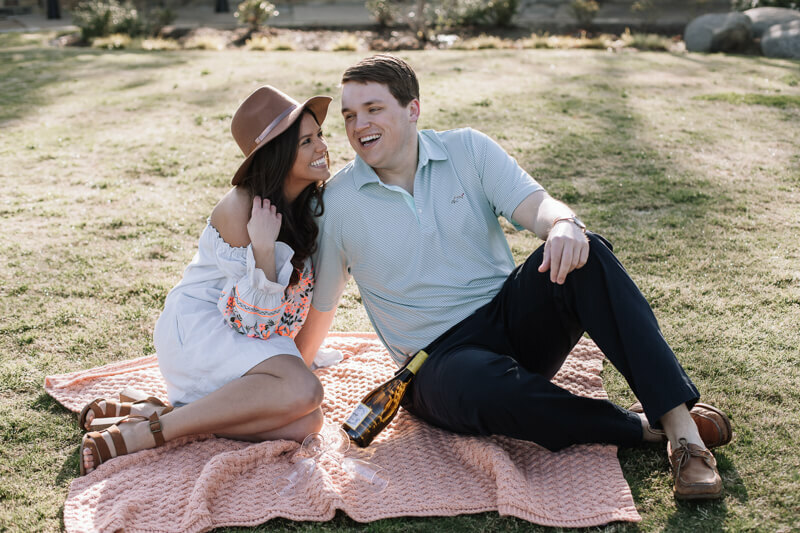 The first part of their engagement session was shot at Elizabeth Park in Charlotte, North Carolina. We love their boho inspired attire! For their second outfit they chose a location that complimented their vibrant attire. Cassandra wore a modern boho pantsuit that paired nicely with Joesph’s blazer and slacks. 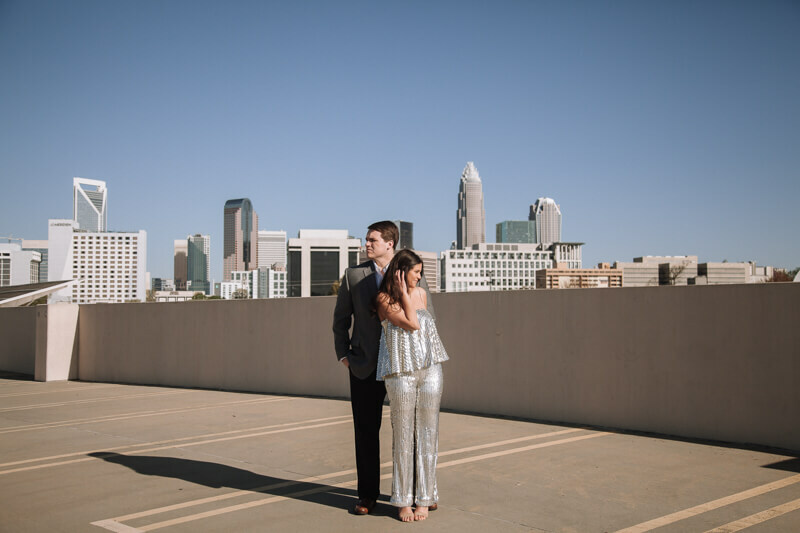 Her silver attire sparkled in the sun and made the perfect ensemble for Charlotte’s cityscape. How did you two meet? He was working security at Rooftop 210. I was trying to hook my friend up with a guy that worked there and met Joe in doing so. The other couple didn't work out so great (or at all) but we did! Who approached who? I approached him! I introduced myself to him the first night. Two nights later, I saw him again and talked his ear off for an hour. I finally asked him if he was going to ask for my number or not. He handed me his phone so I could put my number in and text me the next day to ask me on a date. How long did you date? We have been dating for three years and living together for almost a year. We had always talked about marriage so I knew it would happen eventually. So how did the proposal happen? He took me to a winery/vineyard to celebrate our three year anniversary. We took a tour and then had a private tasting with wine and chocolate. Afterwards, we walked through the vineyard. It was fairly warm that day and his heart was racing! I thought he was hot and worried he was going to die! He got down on one knee and asked me to marry him. I thought he was joking until I felt the ring in his hand. We drove back to Charlotte where he had all of our family and close friends gathered to celebrate. 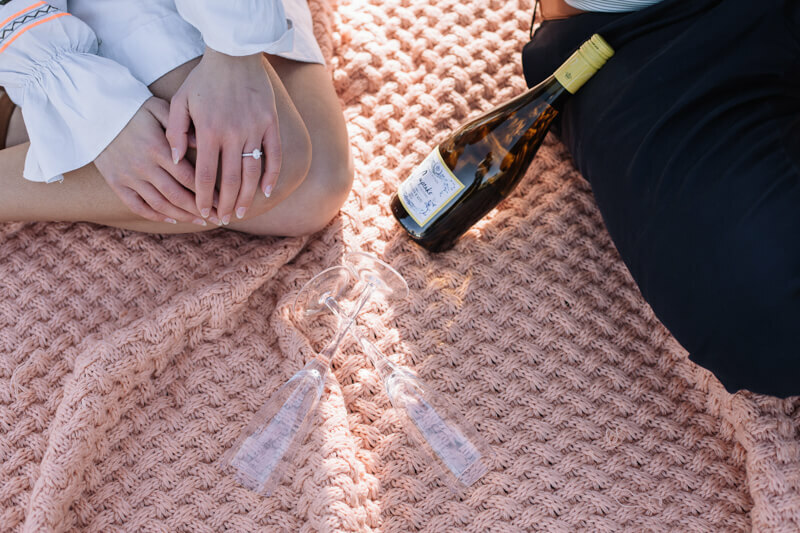 Is there any significance to your wedding date? August 11th is the feast day of St. Clare, a saint that was very devout and committed. How would you each describe the other? Joseph says " Words cannot describe you because I think that you are perfect" Cassandra says " Joseph is ambitious, dependable, introverted, handsome, selfless, encouraging, loving, strong, independent, attentive, committed, honest, understanding, intelligent, and all mine!